Final Fantasy XI fans are about to freak out as one of the game’s main bosses will be making their way into Dissidia Final Fantasy NT. Square Enix has announced that Kam’lanaut will be joining the game’s roster as the next DLC character. 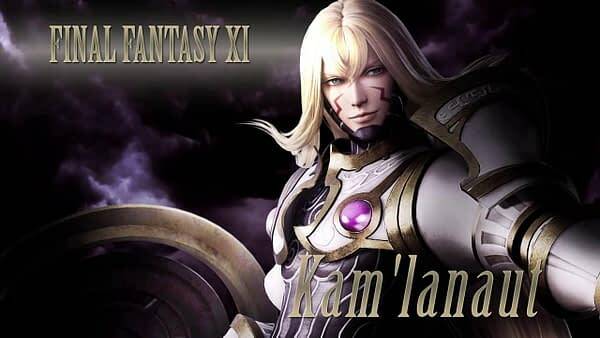 A lot of Final Fantasy fans may not be immediately familiar with the character, but trust us, this is one person you do not wish to underestimate as there are players with countless hours int he MMORPG who have worked to bring them down. At the moment we’re only seeing a preview of what he can do and have no hard stats on his mechanics or special abilities. But it all looks mighty impressive as many of the moves and graphics are true to the way he behaved in the original game. Square Enix did not immediately give a release date for the character, but based on previous character introductions, we’re guessing you’ll see him added to Dissidia Final Fantasy NT in late October. For now, enjoy the video and do yourself a favor and look the character up if you never played FF11, as he is probably one of the best villains they’ve ever put in the series.